Last week the third edition of HR Tech Europe took place in Amsterdam. 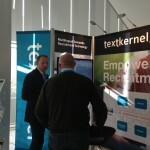 Textkernel has been taking part in this event since its inception three years ago. HR Tech Europe has become Europe’s most important event in the field of HR Technology. Where three years ago a few hundred qualitative participants were present at the conference, this year as many as 1439 delegates signed up. 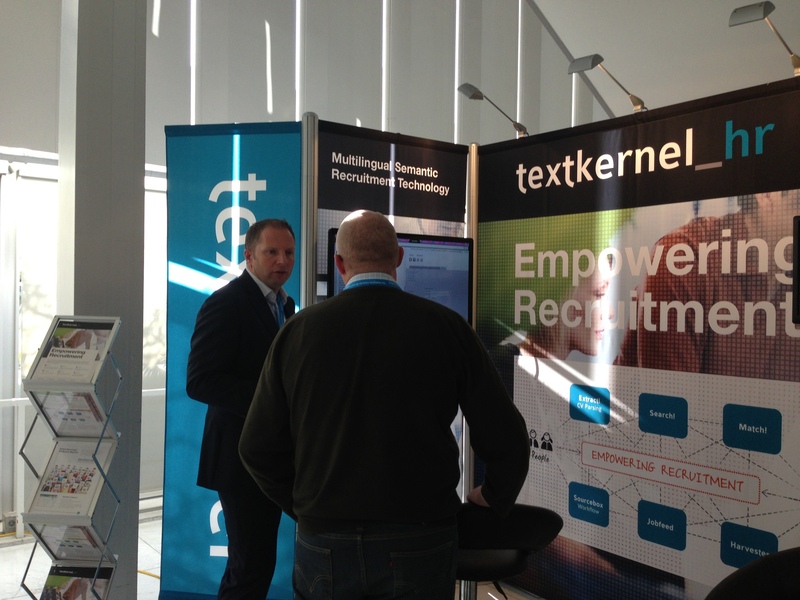 Textkernel gave demonstrations at the stand (see picture) and Jakub Zavrel presented how semantic technology can increase efficiency in filling in jobs by simultaneously searching for good candidates in the employee database as well as talent pools ánd external sources like Monsterboard and LinkedIn.